Have you been looking for the perfect gift for your friend, loved one or colleague who is on the Weight Watchers plan? 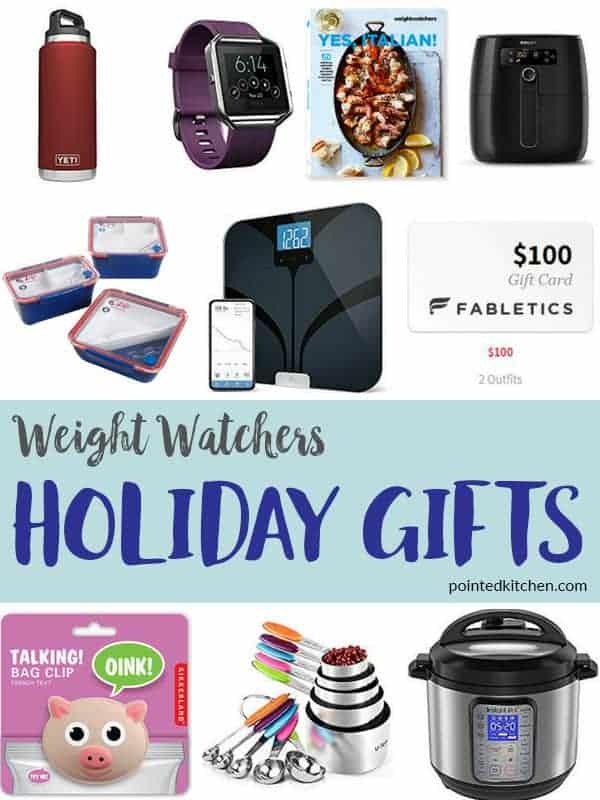 Then this list of over 20 Holiday Gifts for Weight Watchers may give you some inspiration. When following the Weight Watchers plan, it is really inspiring when others get on board with the program and support you! From your loved one cooking a special Weight Watchers friendly meal for you, to your work colleague lending you his / her Weight Watchers cookbook, thoughtful acts motivate, inspire and make it so much easier to stay on track and ultimately to lose weight. So why not take a look at these holiday gift ideas! Use it as inspiration for what to buy your Weight Watching friend, wife, uncle or mother-in-law this holiday and help them feel loved…. … or, forward it to your loved ones & friends as a huge great big hint as to what you want this Christmas! This Instant Pot Duo Plus (6QT) is a must for every Weight Watchers kitchen! It is a pressure cooker, slow cooker, rice cooker, yogurt maker and egg cooker all in one. It also saute’s, steams, warms and sterilises. You can purchase this one from Amazon here. This Oxo Good Grips Stainless Steel Food Scale with Pull-Out Display is available from Amazon. Accurate weighing and measuring is so important for Weight Watchers. I couldn’t do without mine! This funky red Crock Pot is a slow cooker which serves 7 + people. It has a lid mounted locking system meaning that it is easy to carry. Crock Pots come in a variety of sizes and colours and can be purchased from Amazon. If you are looking to swap your noodles for zoodles or to make curly squash fries, then this gadget is for you! It comes with 6 different stainless steel blades and has been reviewed over 10,000 times on Amazon. There are plenty of Airfryer makes and models on the market right now, plenty of them cheaper than this one. However, this is the one that I have my eye on at the moment 😀 I have only heard good things about it! You can purchase it here from Amazon. You can also read a guide on the Best AirFryers here. One of the first things that I brought when I started Weight Watchers was a good quality non stick frying pan / skillet. Investing in a good quality one means that you can stop using oil to do your frying without the worry of your food sticking to the pan. This 10 inch Copper Chef Frying Pan / Skillet comes with a glass lid for added versatility and can be purchased from Amazon. Every Weight Watcher knows how important it is to keep well hydrated when keeping to the program. Water really does help with weight loss, energy etc but remembering to drink water can be hard, especially when you don’t particularly like the taste. This large 10 cup Brita Water Pitcher with Filter ensures that your water tastes better by reducing any chlorine taste and copper, mercury and cadmium impurities that can be found in tap water. This Brita Water Pitcher can be purchased from Amazon along with replacement filters. You can fill up this 36oz vacuum insulated stainless steel bottle to keep your water colder for longer. Yeti bottles come in a variety of funky colours and sizes and are available from Amazon. Or you could pick up one of these S’well Vacuum Insulated Stainless Steel Water Bottles which holds 17oz of water. Its double walled construction keeps water cold for 24 hours or coffee hot for 12! S’well bottles come in a variety of colours and sizes but I particularly like this Blue Suede one from Amazon. If you don’t like the taste of pure water, don’t worry there are lots of water flavor enhancers out there. These, from Skinnygirl, come in a pack of 3 (Blueberry Acai, Pineapple Coconut & White Cherry flavors) from Amazon. 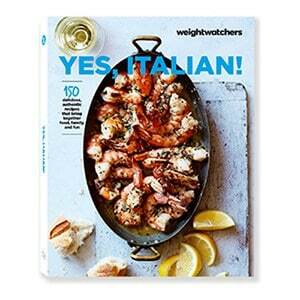 Weight Watchers do a number of cookbooks that help you keep on track. 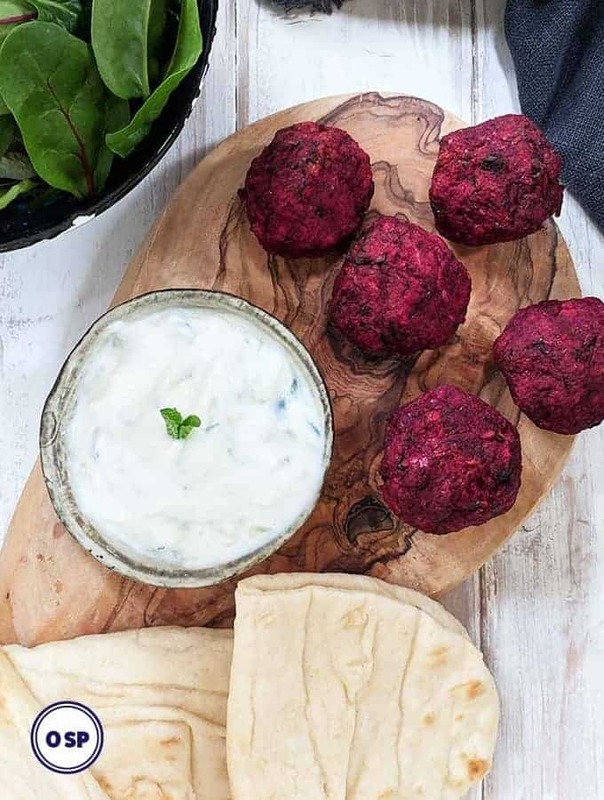 You can order the most up to date Weight Watchers cookery books (with up to date Points) from the Weight Watchers Online Shop or they can be picked up from your nearest meeting. 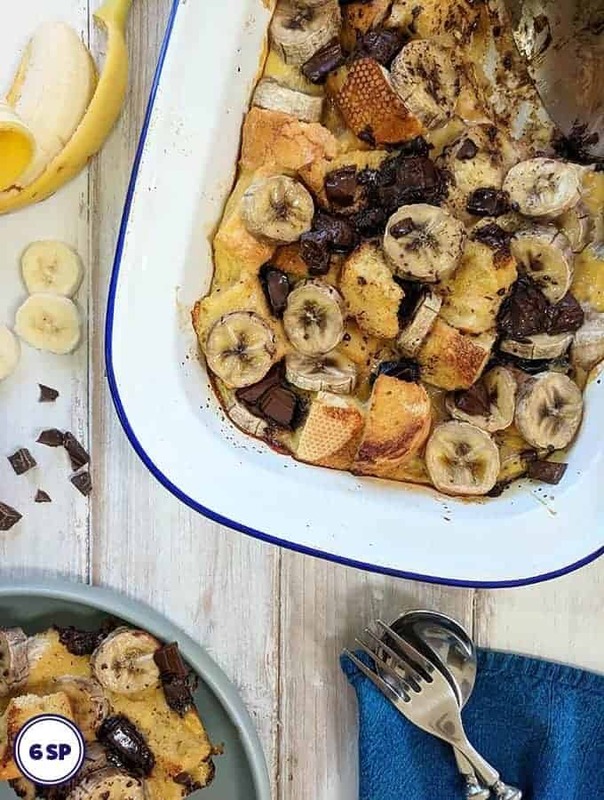 Although this Cookbook doesn’t contain SmartPoint values, Gina Homolka’s book contain some beautiful, tasty low calorie ideas. It is available to buy from Amazon. Oprah’s Food, Health, and Happiness cookbook includes SmartPoint values for each of the recipes. It is available to buy from Amazon. 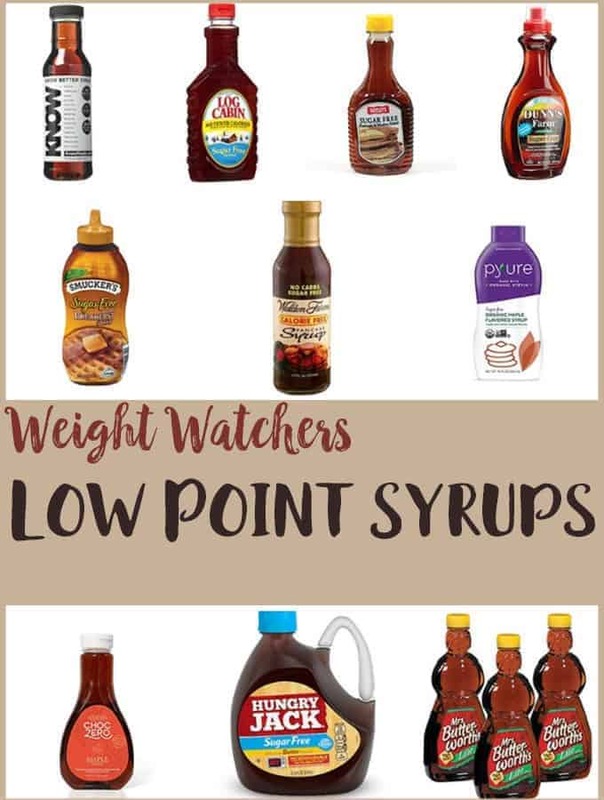 Moving makes such a difference when following the Weight Watchers plan. Whether it is walking the children to school every day, doing a weekend Park Run or going along to a weekly aerobics class, every bit of exercise will help weight loss. It is also great for your mental health! There are so many makes of training shoes out there but these are my favourite brand. As well as coming in a large variety of funky colors they also come with GEL cushioning that helps prevent impact shock. These Asics Women’s Gel – Quickwalk 3 Walking Shoes are available from Amazon. There are a number of different Fitbit watches on the market. This Fitbit Versa is top range. It lasts for 4+ days between charging, has a 24/7 heart rate monitor and allows phone-free music, apps etc. All this as well as tracking your steps & activities. This Fitbit Versa can be brought from Amazon. With a new slimmed down body from following Weight Watchers and a new motivation to exercise, you may want / need some new work out gear. This online store, co-founded by Kate Hudson stocks some really funky, wearable activewear. 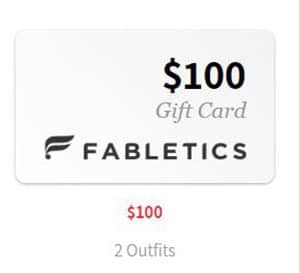 You can purchase gift cards from the Fabletics website. If you are anything like me you probably haven’t picked up one of these since you were at school! But the simple hula hoop has had a resurgence over the last few years. They now come weighted for extra toning and fat burning and are padded for comfort. Hula hooping tutorials can also be found on YouTube. This 3lb weighted hula hoop (segmented for easy storage & fitting) can be purchased from Amazon. 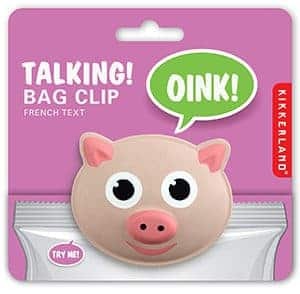 This cute talking bag clip will ‘Oink’ at you if you reach for another handful of chips! A fun way to keep you on track and a perfect stocking filler for any Weight Watcher. They are available to buy from Amazon. These Stainless Steel Measuring Cups and Spoons by U-Taste ensure that you never have to guess those ingredient measurements again! They are rust resistant, dishwasher safe and have soft, colourful silicone handles. You can purchase them from Amazon. These scales are the ‘bees knees’ if you are doing Weight Watchers online or want a sneaky weigh in before your next meeting! They sync with Fitbits, Google Fit, Apple Health and other popular fitness apps. They measure your BMI, Body Fat, Muscle Mass, Water Weight and Bone Mass! What more could you want! They are available to purchase from Amazon and have over 3.3K five star reviews. Lastly, but by no mean least, this set of 3 Lunch Containers by Weight Watchers can be brought online from the Weight Watchers shop or from your weekly meeting. 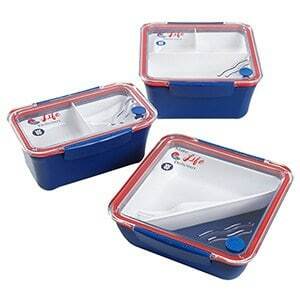 They are dishwasher, microwave and freezer safe and are leak resistant for stress free packed lunches!